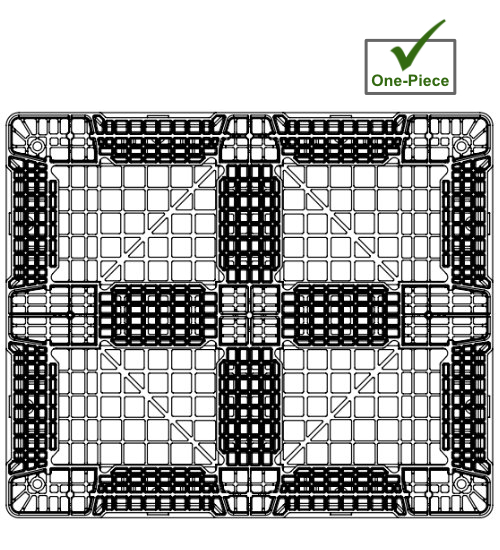 Please send me a price for the NPP-4840-FP-PSG5.1FM new 48x40 plastic pallet. The NPP-4840-FP-PSG5.1FM is a specialty Plastic Industrial Pallet designed to solve problems in specific applications. The cross-bottom cruciform base of the 6 runner NPP-4840-FP-PSG5.1FM plastic pallet is a good match for block stacking. 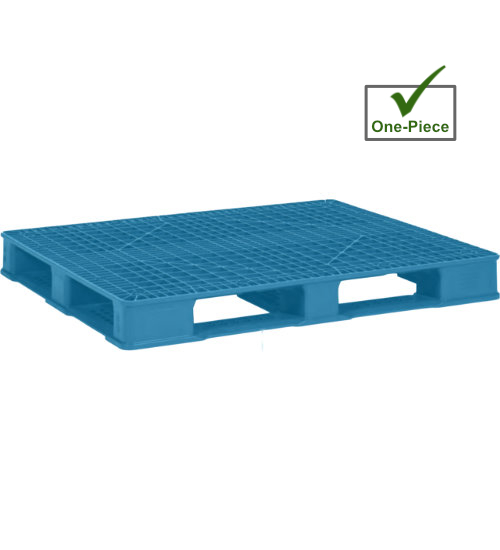 Plastic pallets like the NPP-4840-FP-PSG5.1FM are lightweight and durable. Its uniform length and width provide ease of use and safety. Our fire retardant NPP-4840-FP-PSG5.1FM plastic pallet option meets standards to be safer in areas where fire protection is a priority. Get more turns using the NPP-4840-FP-PSG5.1FM multi-trip plastic pallet and easily win back startup costs with durable and reliable plastic. Use the NPP-4840-FP-PSG5.1FM captive plastic pallet in closed loops to satisfy in-house reusability requirements with the reliability of plastic. Built for safe transportation and storage of pharmaceutical products. FM approved for meeting fire rating requirements. Full perimeter bottom deck design allows racking. Manufacturer load rating = 4,000 lbs in supported rack. Is the NPP-4840-FP-PSG5.1FM the right pallet for you?